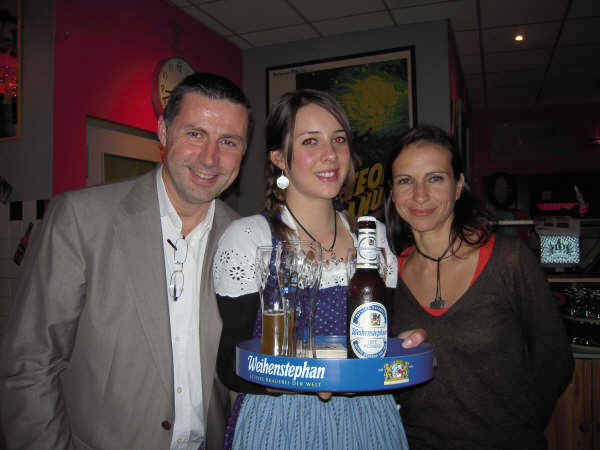 A Bavarian evening was organised on the Thursday April 23, 2009 by TA Distribution S.A.M., the official importer of Weihenstephan beers at the Sun City Café in Sophia Antipolis. Accompanying Ms Céline Vial, in charge of marketing and sales at T.A. Distribution S.A.M, a young hostess dressed in a traditional Bavarian 'Dirndl' allowed some serious connoisseurs to discover this marvellous beer.